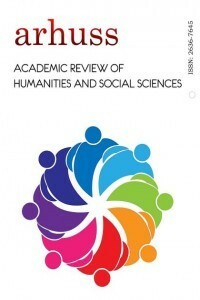 Academic Review of Humanities and Social Sciences, ARHUSS, is a peer-reviewed international journal published by Bursa Technical University-Faculty of Humanities and Social Sciences. ARHUSS is an online journal and it is being issued 3 times a year as in April, August and December. The journal aims to publish scientific researches in social sciences and humanities; mainly sociology, psychology, business administration, economics, international trade and international relations. The papers in Turkish and English are welcomed by the journal and there is no fee for submitting the papers. ARHUSS is indexed in RePEc, IDEAS, EconPapers, Google Scholar, Socionet, DRJI, JournalFactor, ISAM, CiteFactor and ESJI.